In many ways, enjoying some theatre in London can be an expensive affair. Ticket prices are often pretty steep, before you’ve accounted for any refreshments, programmes, souvenirs and similar. There’s a tkts (not a typo – that’s the name!) booth in Leicester Square (on the south side) that sells theatre tickets at half price (plus a service charge). It is open 10am to 7pm Monday to Friday, 12pm to 3pm Sunday. Simply pop along to the booth to see what they have available for that day. It is also possible to get cheaper tickets direct from the theatre box offices; again, just turn up on the day to see if any tickets (returns) are available. Box offices usually open at around 10am. 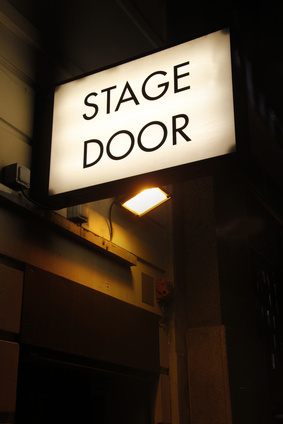 Search online at sites such as Theatre Tickets Direct or lastminute.com’s Theatre page for some rather amazing deals. Try and book tickets for productions as far in advance as you can. If theatres offer different seating price tiers, you’ll be able to get tickets for the cheapest tier…and these usually get snapped up pretty quick. Further to the above, some theatres offer “restricted view” tickets which are usually cheaper that normal ones. Again, it’s a chance to make a saving – and normally the “restricted view” isn’t anything too obtrusive or annoying. There are some truly amazing theatre productions in London these days, often starring incredibly fine, award-winning actors. However, do also consider going to see local, smaller productions at places such as pub theatres. These can often be just as enjoyable a theatre night out.